3-6 players per team, $20 per player. All proceeds will go to the Youth of Masjid Darul Islah who will use the money for dawah lectures and classes that they regularly put together. Every team is guaranteed to play a minimum of 5 games, plus any additional playoff games depending on how far the team advances in the playoffs. 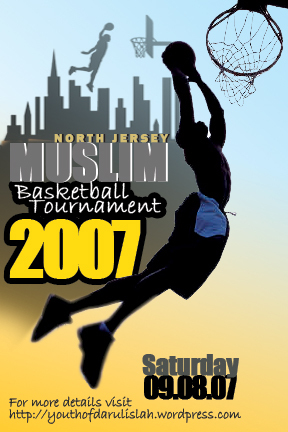 In order to participate in this tournament, players must be 15 years or older. Nobody under the age of 15 will be allowed to play in this tournament. Click here for more info. Al-Aqsa Health Clinic in North Carolina – Free and run by Muslim Women! Previous PostPrevious Halal Tube – Officially launched!